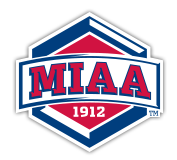 The MIAA Men’s Basketball Tournament will roll into semifinal Saturday from Municipal Auditorium in Kansas City, Mo. Second seeded Nebraska-Kearney will face off with third seed Missouri Southern in the first of two semifinals set for a 6 p.m. tip-off. The Lopers got the semi’s with an 82-78 OT win over Lincoln and the Lions come in off an 82-70 win over Missouri Western. The Lopers are led by Connor Beranek who is averaging 24.0 points and a team best 8.2 rebounds per contest. Trey Lansman is averaging 16.4 points while Ethan Brozek averages 13.6 points, 6.5 rebounds and 3.5 assists per game. After one tournament game UNK is averaging 79.4 points while allowing opponents 74.0 points per game. The Lions are led by Taevaunn Prince who is averaging a double-double with 26.8 points and 10.1 rebounds per game. Charlie Brown is averaging 14.7 points and Austin Wright 12.6 points per contest. Heading into the semifinals MSSU is averaging 83.9 points while opponents are scoring 79.1 points per contest. The winner advances to the MIAA Championship which will be played at 3:30 p.m. on Sunday, March 6 from Municipal Auditorium. Top seeded Northwest Missouri will close out a day of semifinals with an 8:15 p.m. match-up with fourth seeded Fort Hays State. The Bearcats got here with a 62-57 victory over Lindenwood while Fort Hays State earned a 67-61 win over Central Oklahoma. The Bearcats are led by Justin Pitts who is averaging 20.9 points and a team best 4.9 assists per game. Conner Crooker is averaging 12.4 points while Chris-Ebou Ndow is averaging 10.4 points and a team best 6.3 rebounds. After one tourney game NWMSU is averaging 75.9 points while allowing opponents 65.8 points per contest. The Tigers are led by Rob Davis who is averaging 17.4 points and Dom Samac with 13.5 points and 7.1 rebounds per game. Craig Nicholson is averaging 11.7 points and 4.6 assists while Jake Stoppel averages 11.0 points per contest. Entering semifinal Saturday FHSU is averaging 76.7 points while their opponents are averaging 73.1 points per game. The winner advances to the MIAA Championship which will be played at 1 p.m. on Sunday, March 6 from Municipal Auditorium. Second seeded Pittsburg State will take on third seeded Fort Hays State in the first semifinal set for a 12 noon tip-off. The Gorillas got here by defeating Central Missouri 78-68 in the quarterfinals while the Tigers knocked off Missouri Southern 79-65 on Thursday. For the Gorillas Mikaela Burgess leads the way averaging 17.9 points with 87 three-pointers on the year. Kylie Gafford is averaging 13.7 points and a team best 5.8 rebounds while Cathy Brugman averages 12.7 points and a 4.7 boards. After the quarterfinals PSU is averaging 74.7 points a game while allowing opponents 63.3 points. For the Tigers are led by Chelsea Mason who is averaging 13.3 points and Jill Faxon with 12.3 points and 5.5 rebounds per game. Beth Bohuslavsky is averaging 11.6 points and 3.1 assists while Paige Lunsford averages 10.6 points and 5.0 boards. After one game in the tournament FHSU is averaging 71.8 points while allowing their opponent 60.1 points per game. Top seeded Missouri Western will face off with fourth seed Emporia State at 2:15 p.m. in the second semifinal. The Griffons got here with a 64-53 quarterfinal victory over Nebraska-Kearney while the Lady Hornets used a 65-54 win over Central Oklahoma in the quarters. The Griffons are led by LaQuinta Jefferson who is averaging 21.3 points and Sarafina Handy who has 14.2 points per game. Miliakere Kayamainavure is averaging 12.1 points and 5.7 rebounds while Mhykeah Baez is averaging 5.9 rebounds per contest. After the quarterfinals MWSU is averaging 82.4 points and opponents are averaging 62.9 points per contest. The Lady Hornets are led by Kelly Moten who is averaging 16.0 points and 4.7 assists per game. Sandra Ngoie is averaging 12.7 points with Kelsey Barnwell averaging 10.2 points and Kathryn Flott averaging 10.0 points and 8.7 rebounds per contest.